Pokemon Go is visiting Alola before it even looks at Sinnoh, and that's OK.
Summer's approaching quickly, which is a big deal for Pokemon Go players like myself. These warm days and tame nights are gradually melting the painful memories I have of standing at my closest Gym swaddled head-to-toe while pecking at my phone in temperatures comparable to deep space. Look, I do whatever I can to keep Team Instinct out of my neighborhood. They're a little too fond of getting wasted and jousting with broken beer bottles. Pokemon Go overhauled its Gyms about a year ago, and since then Niantic has worked hard to feed a steady trickle of content into the AR Pokemon-capturing game. The Johto PokéDex (from Pokemon Gold and Silver) was introduced shortly after the Gym remodeling, and the Hoenn PokéDex (from Pokemon Ruby and Sapphire) followed. It's logical to believe the Sinnoh PokéDex (Pokemon Diamond and Pearl) should have appeared by this point—but instead, Niantic's been spending its effort to build up what it has. To date, the studio's brought us story-based research missions, an ever-rotating roster of Legendary raids, and several Community Days that force-feed players one species of rare Pokemon across the span of a few hours (Larvitar is next! June 16!). There's always something going on, and it's pretty cool. 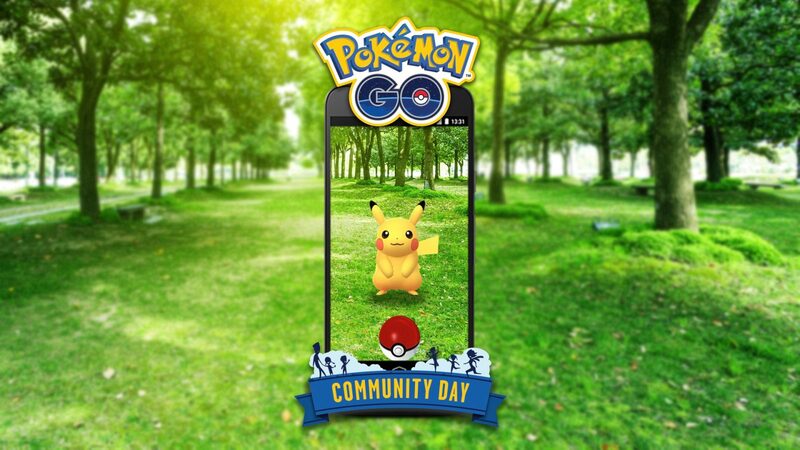 "Pokemon Go" means "Community." "Community" means "Nobody gets left behind." Wait, I think I screwed that up. Yesterday, Niantic finally got around to revealing its next batch of new Pokemon, but not a single critter from Sinnoh is on the menu. In fact, Niantic's skipping a head several generations to introduce Alolan Pokemon from Pokemon Sun and Moon—specifically, the heart-stealing Alolan alter-forms of Kanto Pokemon we met in 2016. Is it weird to see Alolan Pokemon (Generation 7) in Pokemon Go before even learning what Niantic has planned for Sinnoh's roster (Generation 4)? I suppose it depends on whom you ask, but the decision makes sense from Niantic's standpoint. Like all mobile game developers, Niantic needs to constantly come up with ways to make Pokemon Go look interesting to new players in a market that never stops moving. Parading Generation One Pokemon is one such tactic. I doubt Pokemon Go and the concept of Alolan Pokemon existed anywhere near one another during each's development, but the core appeal of both are very similar: They offer new spins on a cultural phenomenon that defined the late '90s. People initially snapped up Pokemon Go because catching AR Kanto Pokemon let them re-live their middle school years. And Alola's twist on Kanto's Pokemon let established fans look back on their childhood favorites and appreciate (or decry) the changes. As the weather warms up and Niantic gets set to host its 2018 Summer Tour, the arrival of the nostalgic Alolan Pokemon might be what brings new people into the Flaafy fold—or convinces lapsed players to re-download the app. BRB going to bang trash can lids together outside Niantic's offices until Pokemon Go gets Alola's starters, too. Then there's the Donphan in the room: Introducing the Alolan Kanto Pokemon to Pokemon Go generates a significant amount of buzz for the game without the amount of work and testing that goes into introducing an entire new PokéDex into the game. That's not to suggest putting the Alolan Pokemon into Pokemon Go doesn't require effort on Niantic's part: There are 18 Alolan Kanto Pokemon, most of whom look quite different from their forebears and subscribe to different typing. Nearly 100 new Pokemon were packed into the worldwide PokéDex when Gen 4 came into being, however, so jumping the queue a bit and giving us Alolan Kanto Pokemon first buys Niantic a little more time to work on Sinnoh's menagerie. And with Harry Potter: Wizards Unite around the corner, Niantic needs all the extra time it can scrounge up. Anyway, the summer weather should put everyone in the tropical mindset needed to really appreciate hunting for Pokemon Go's new friends. Summer weather isn't quite tropical up here in Toronto, but the arrival of Alolan Pokemon combined with a lot of rum will make it easy to pretend I'm in paradise. Tagged with Game Freak,	Niantic,	Opinions,	Pokemon Sun and Moon.